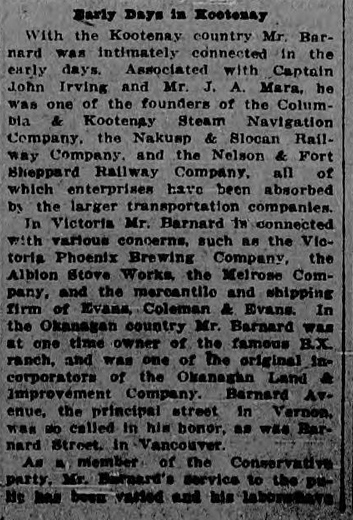 Photo and biographical essay on the new Lieutenant-Governor of British Columbia, Mr. Frank S. Barnard, long-time resident of Victoria. 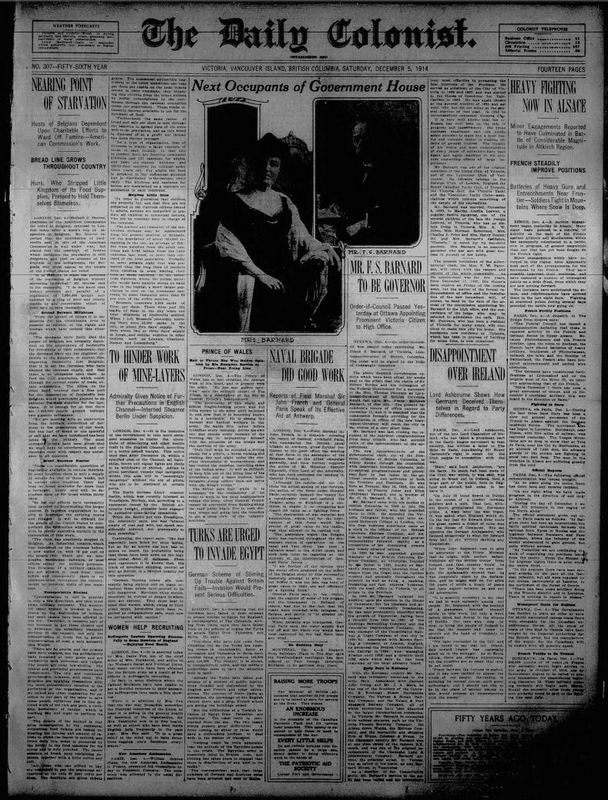 Price of Wales [future King Edward VIII, famous for abdicating the throne in 1936 to marry Wallis Simpson] lauded for active service near the front. After failing to instigate popular revolt against the British administration in Egypt, Germany is now said to be trying to organize a Turkish invasion of Egypt. 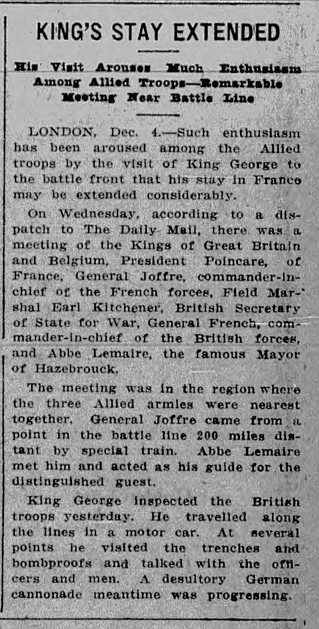 King George V extends his visit to the front lines. 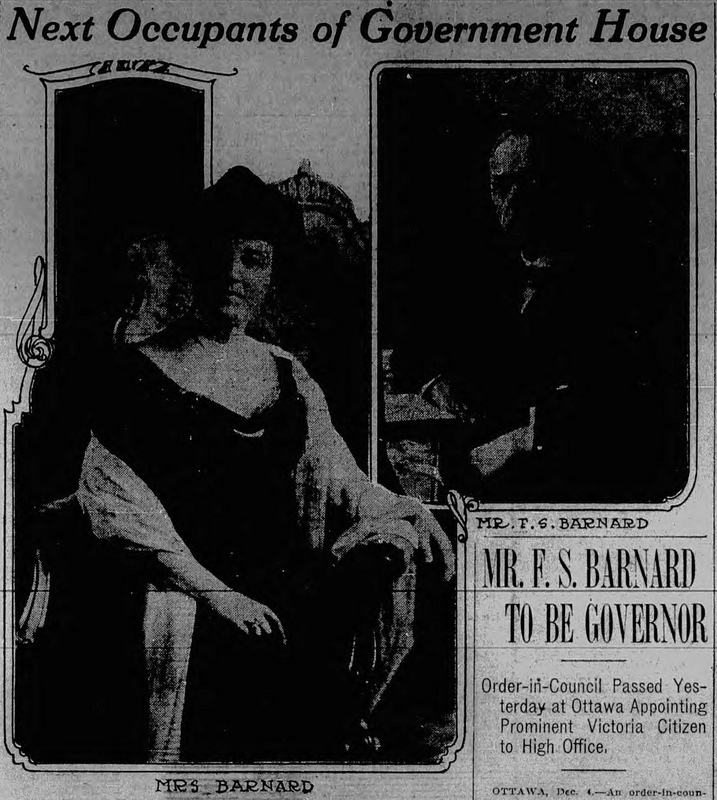 The federal government, prompted by letters from B.C. Premier, agrees that it is the responsibility of the federal government to provide for enemy aliens unable to work or leave the country. And indignant editorial in the "Women's Realm" section on the lack of enthusiasm in Victoria for cleaning up and cultivating vacant lots.